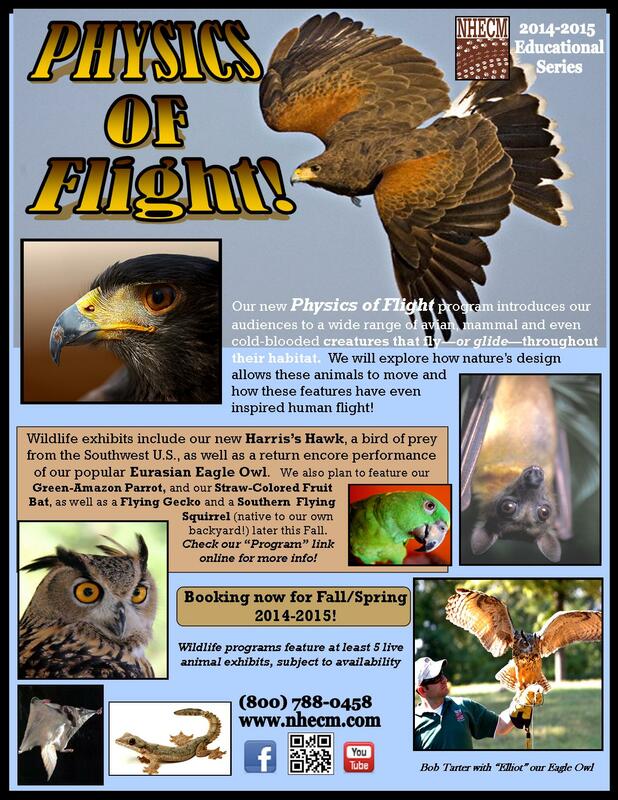 Our new Physics of Flight wildlife program has been a HUGE hit this Fall, and still booking for the 2014-2015 school year! 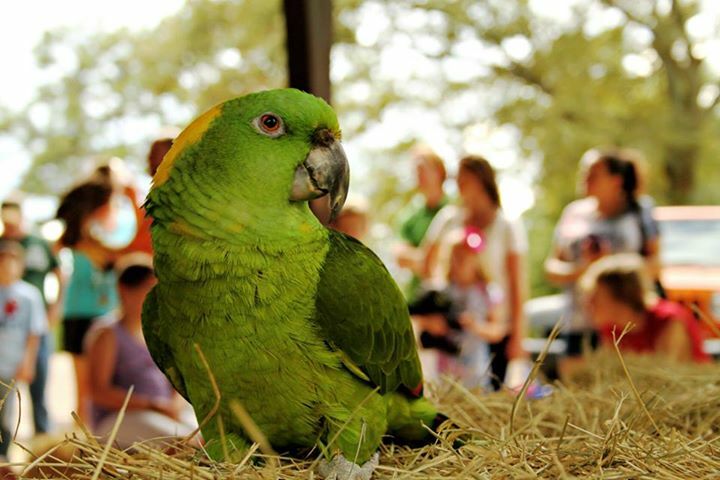 Featuring our new Harris's Hawk, Flying Squirrels, Flying Geckos as well as "old" favorites such as our Eurasian Eagle Owl and Straw-Colored Fruit bat as animals that fly (or glide) through their habitat, this program teaches about the unique lifestyles of these creatures & how modern engineering is often derived from designs in our natural world! 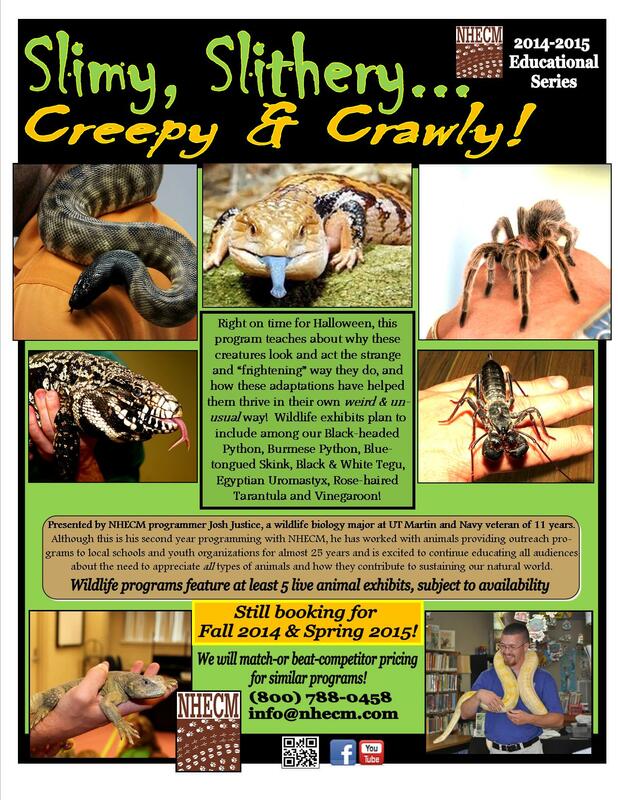 As always, we offer many other wildlife programs featuring our resident NHECM animal exhibits, including a special "Slimy & Slithery" and "Weird & Unusual" programs, including educational discussions mammals, reptiles, amphibians and insects from around the world! As always, introductory rates and discounts for limited budgets, when we are "in the area" is available! Check us out on Facebook for current photos or email us for more info or availability on these new programs! Even Snakes need a Cuddle! 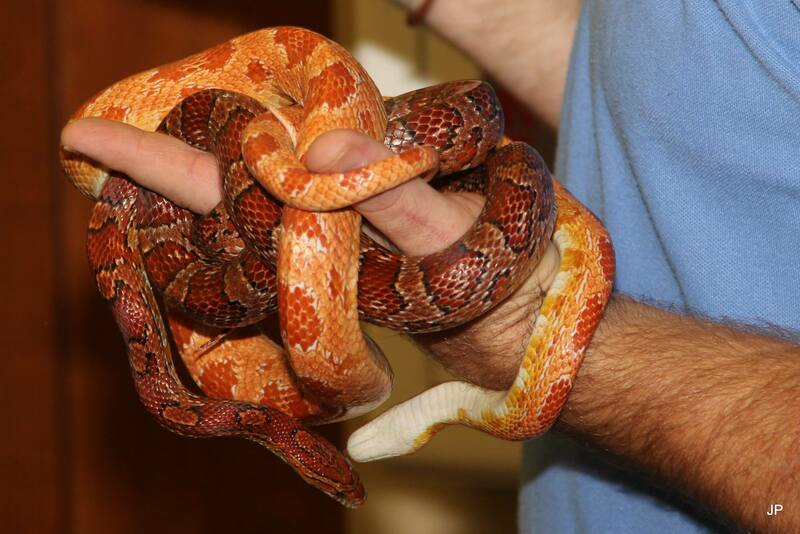 Romance unexpectedly blossomed between some of our favorite exhibiting snakes and now their babies are in need of new homes. These new "Learn-i-mal" babies will make wonderful additions to a school or library program, and we are looking into possibly donating some of these available snakes to worthy applicants. We can also offer a "set up" kit and delivery, subject to a charge (if we aren't already in the area). Most importantly we find some good "parents" that will use them for their educational value, for the next generation. If you are a teacher, librarian or other interested adult, please e-mail us and let us know! 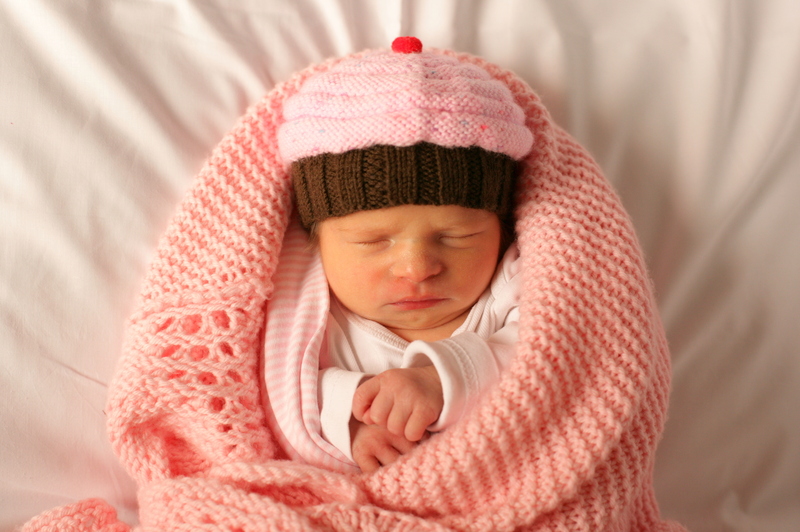 Katherine Elizabeth Tarter, born August 16, 2014 at 3:29 am! Beth is slowly making her way back into the office, but please be patient as we struggle to deal with the schedule (or lack thereof!) of having a newborn! 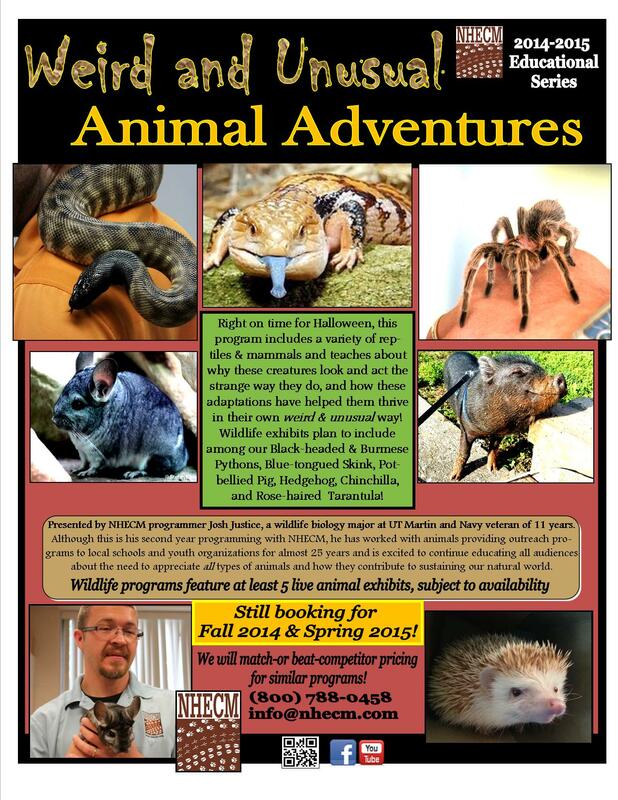 We are busy booking for Summer 2015 and plan on again offering 3 different wildlife programs relating to the "Heroes" theme! Please contact us ASAP to hold your no-obligation date so we can make sure you get your preferred date & program! 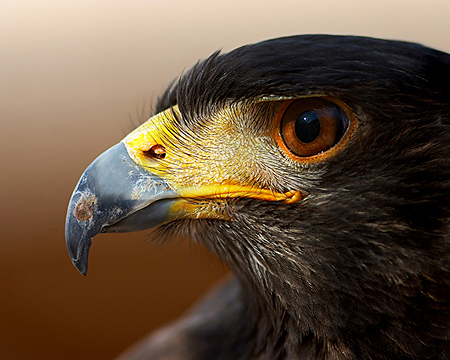 Copyright © 2014 NHECM: Natural History Educational Co. of the Midsouth All rights reserved.